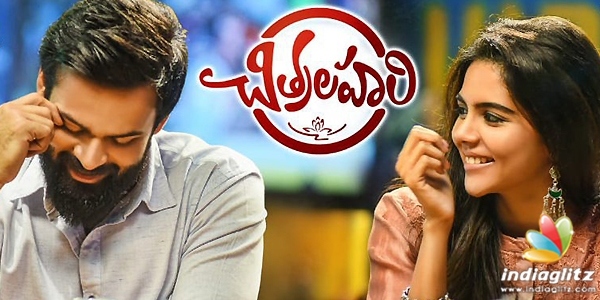 'Chitralahari', starring Sai Dharam Tej and others, hit the screens this Friday. Here is our review of the drama. Vijay Krishna (Sai Dharam Tej) is a self-described loser. Working as a TV mechanic, he woos Lahari (Kalyani Priyadarshan) without disclosing the nature of his job. When Lahari befriends Sweccha (Nivetha Pethuraj), a career-oriented woman who doesn't trust men, the game changes. Soon, differences crop up between Lahari and Vijay, only to lead to a break-up. Meanwhile, Vijay's singular dream is to bring into reality a mobile app that can save lives. In realizing it, he crosses paths with an unlikely character. What consequences does Vijay's new journey lead to? Will he be able to overcome the tag of being a perennial failure? Can he also emerge victorious in love? Answers to these questions are found in the second half. Writer-director Kishore Tirumala struggles to concoct the right mix of comedy and emotional, dramatic moments. In the end, he messes it all up to an extent. Where Vijay Krishna (Sai Dharam Tej) speaks his heart in vulnerable moments in his life, he looks to be imploding. But, until such a scene arrives, the audiences don't have a hint that they are witnessing his do-or-die story. 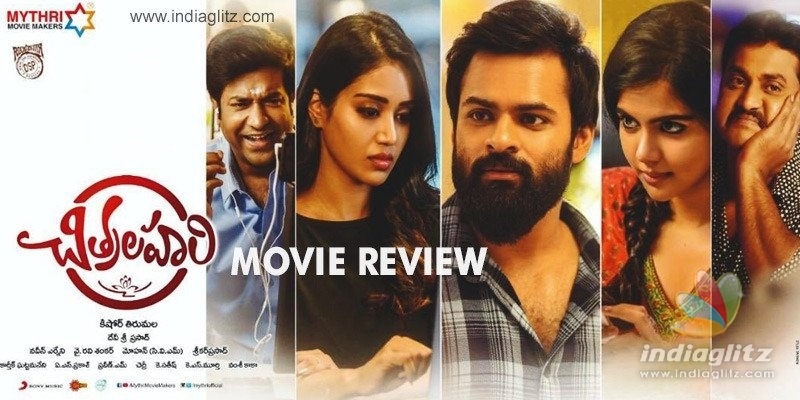 The film's trailer had sold 'Chitralahari' as the story of a loser who is synonymous with failures. In the film, too, the hero describes himself as such. But he is actually a wannabe entrepreneur/innovator working in a TV mechanic shop as a stop-gap arrangement. He has a cute girlfriend who feels guilty about thinking practically. Someone or the other is always ready to fund his alcohol-drinking sessions (which happen every night). Those typical things that happen in Telugu movies, you see. Such a guy is hardly unlucky and an "address for darkness". When his girlfriend walks out of his life, this lucky "loser" has fellow drunkards to dance with and make merry. Once again, those typical luxuries that only onscreen heroes have. At home, there is a patient father (Posani Krishna Murali) and a neighbour who doesn't know how to deal with an electricity breakdown despite being an Electrical Engineer earning Rs 1 lakh per month. Everything is so convenient, you see. Sunil as a mediocre singer working for a religious TV channel behaves as if he exists to entertain the hero. Kalyani's character develops instant bonding with Nivetha's; at least this relationship should have come with a strong foundation. Vennela Kishore elicits some laughs as a Tamilian working in Mumbai and speaking in broken English. The director does take creative liberties (it's no longer a crime under IPC to attempt suicide but the film is economical with the fact). The climax should have thrown up a hard-hitting commentary on our society where wily corporate bosses suppress budding talent. Nivetha Pethuraj's character is well-written and her performance is praiseworthy. A few cliches could have been avoided. She turns out to be a pillar of strength in the second half, where her character occupies much space. Sai Dharam's performance is understated. With a thick and long beard, he looks restrained and atypical. He pulls it off well, especially in those emotional scenes. Nivetha, Posani, Kalyani entertain in that order. 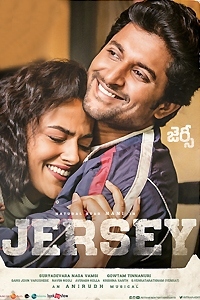 Devi Sri Prasad's songs could have got better elevation in terms of picturization. 'Prema Vennela' seems to come suddenly. The BGM is able. The cinematography passes muster. 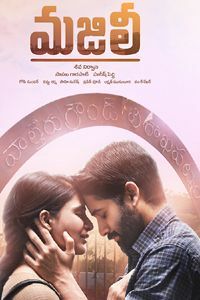 'Chitralahari' makes the cut in the last 35 minutes. Had cliches been avoided, it would have been a different film. The love track could have been way better. Comedy quotient is just meagre. Sai Dharam and Nivetha score marks with their acts. The dialogues make a mark.